Hello! : Are you still friends with Madonna? Gwyneth: Of course I am. We don’t see as much of each other as we used to because she lives in New York and I live in London, but when we do get together it’s exactly the same as it’s always been. We’ve been friends for a long, long time. It seems Warner and YouTube have sorted out their problems, and most of her videos are available to see, including some rare live performances. 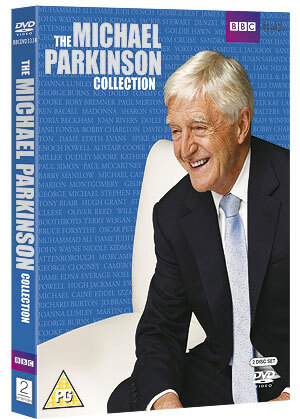 2entertain has announced the release of The Michael Parkinson Collection. The DVD will feature Parkinson’s personal choice of the best moments from over 2000 interviews from the entire back catalogue of Parkinson featuring the conversation he had with Madonna, in 2005. Vanity Fair Italy: Who would you want for a new duet, Lady Gaga or Madonna? My Chemical Romance: Oh God, tough question! But Madonna is Madonna. And her daughter is a big fan of ours. Ray of Light in Burlesque? Not on the soundtrack album but, supposedly, it’s played over a montage scene. Supposedly, it plays in the scene when Christina Aguilera’s character walks in Los Angeles looking for work.